There are 5 cat videos tagged with fight. 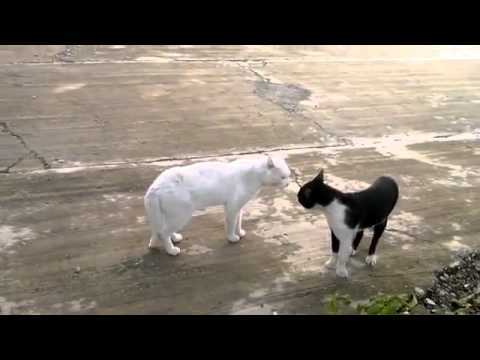 This video starts off a little slow with the white cat creeping closer and closer to the black and white one. 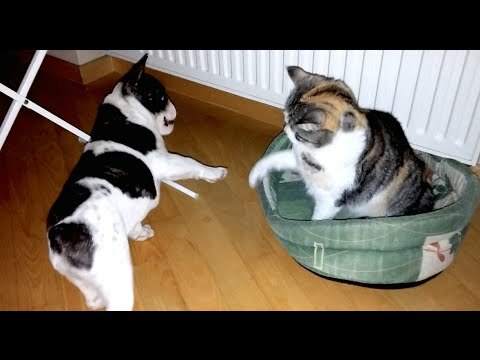 The action starts at 1:38 when the black and white cat does something out of the ordinary and stands up on its hind legs. You have to see it to believe it! 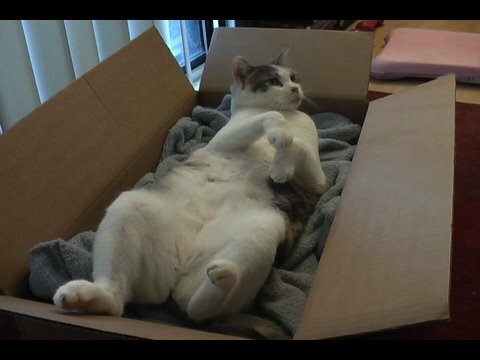 This video shows just how badass cats are (or how dumb...). 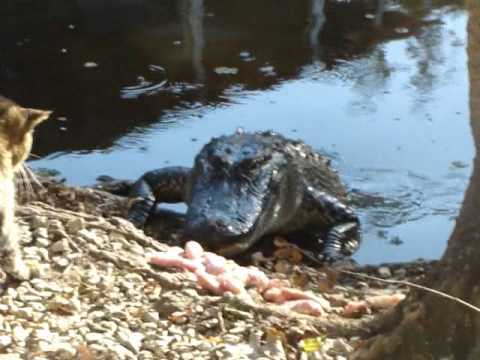 A cat sits near some raw chicken and bats at an alligator that comes to eat it. The crowd thinks it's funny, but I think we'd be trying to get the gator away to avoid having the cat end up as a meal. The cat slaps the alligator back into the water eventually, but it's still definitely too close for our comfort. Is this what Game of Thrones would be like if it were about cats? 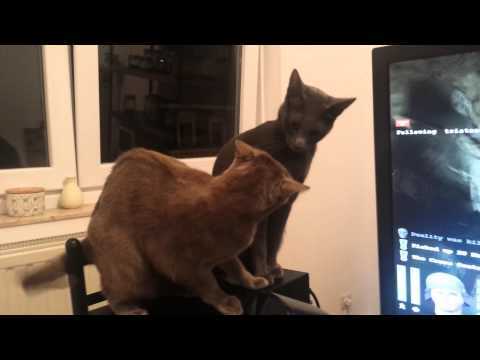 These two cats sit and fight over a stool until eventually a winner is declared. Can you guess who the new king is?